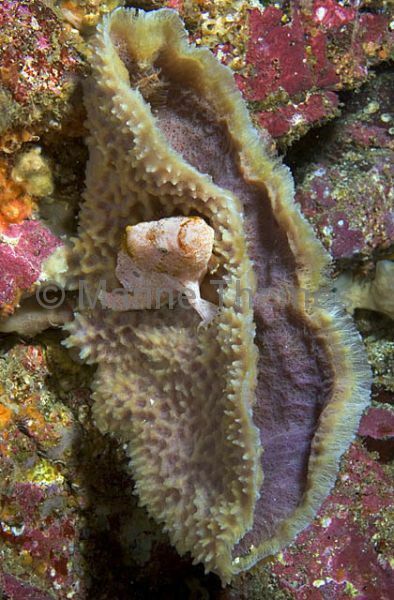 Spotfin Anglerfish (Antennarius nummifer) hiding in ledge among small sponges on rocky reef. 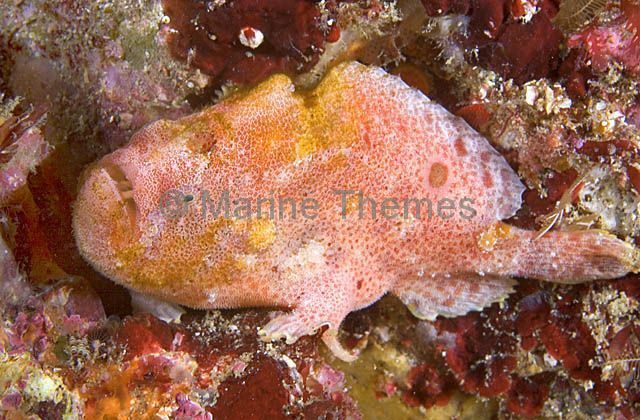 Spotfin Anglerfish (Antennarius nummifer) propped on rocky reef. 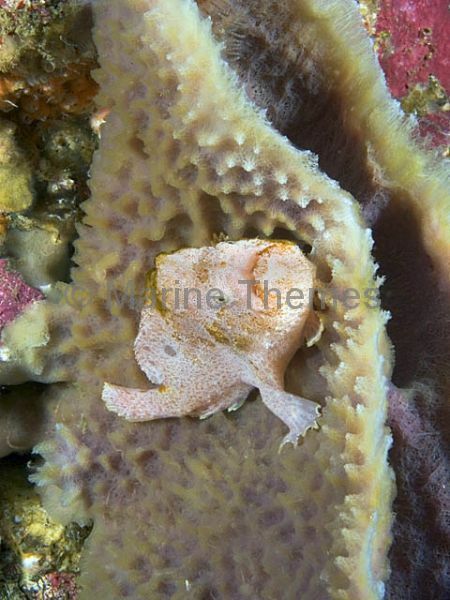 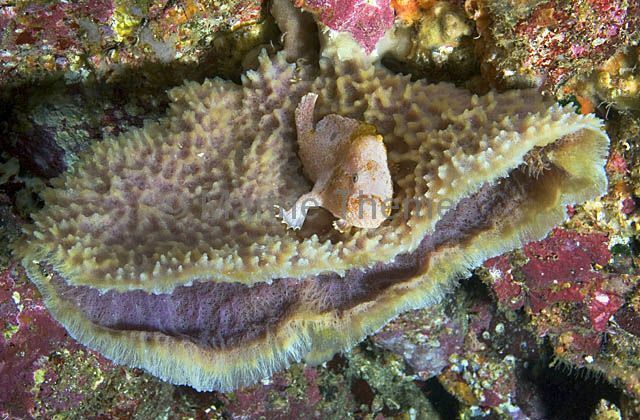 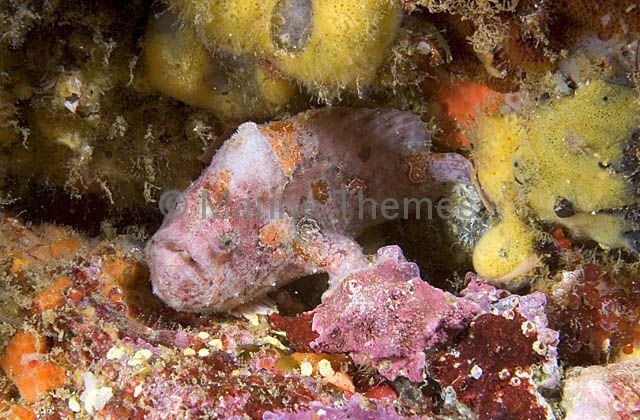 Spot-fin Anglerfish (Antennarius nummifer) hiding on sponge on rocky reef.